Simple, contemporary design to suit modern homes. The bi-fold door has the capability to function in any room and is the ultimate access to entertaining areas. We manufacture customised design styles to ensure you can obtain the latest in technology. Complement your home design with a bi-fold door. A wonderful design option for modern homes. 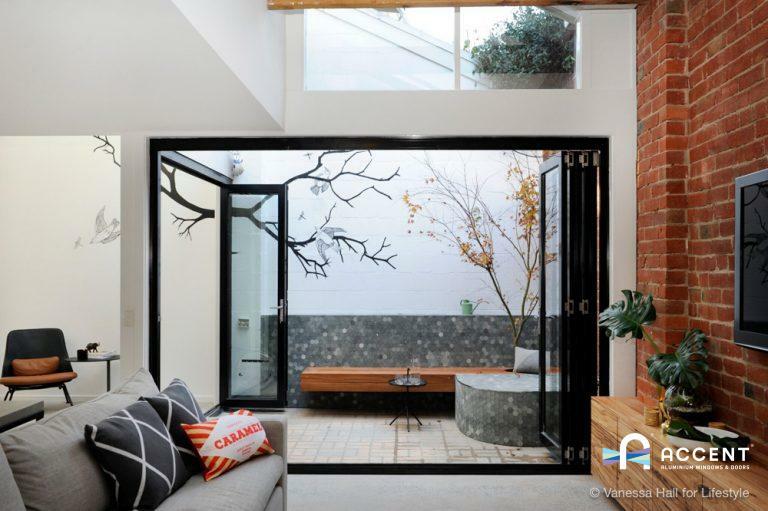 Bi-fold doors are becoming increasingly popular for modern homes. Our range can be fully customised to bring you the look you want.